AR-11 MK1. Identification and rebuild. Hello. Brand new member. I've been studying the AR threads here for the last few evenings. 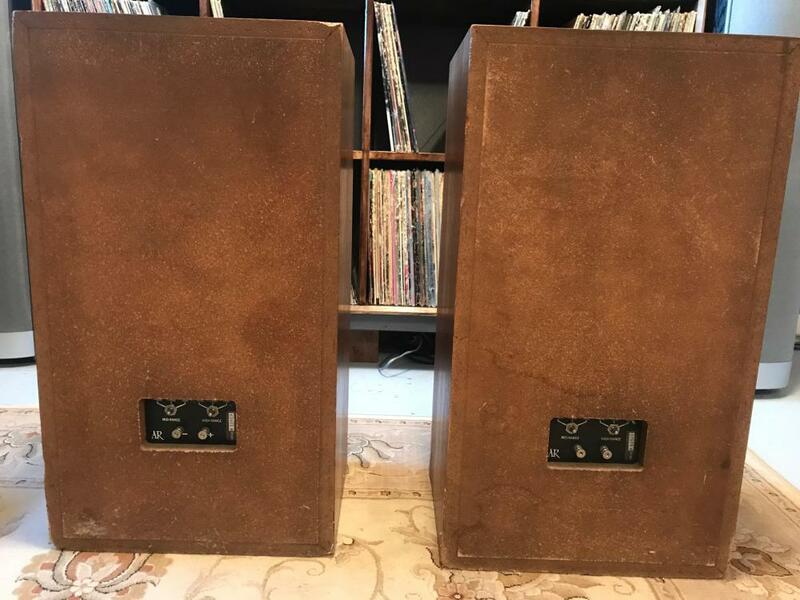 I'm recently getting into collecting and listening to vintage stereo equipment. I'm a long time music listener with a vinyl collection that includes mine going back 30 years and my father's 30 years before me. I have recently started taking interest in the 60's-70's era equipment - partly the particular sound of equipment from this period and partly the esthetics of this period's equipment. 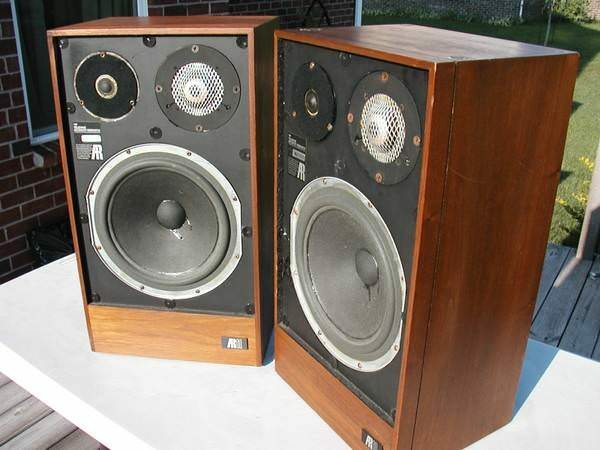 I have collected quite a few sets of speakers, turntables and amplifier/receivers. 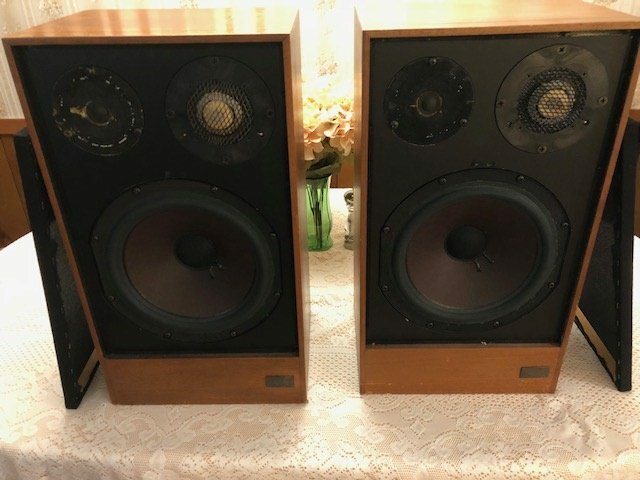 My most recent acquisition is a pair of AR-11B speakers. 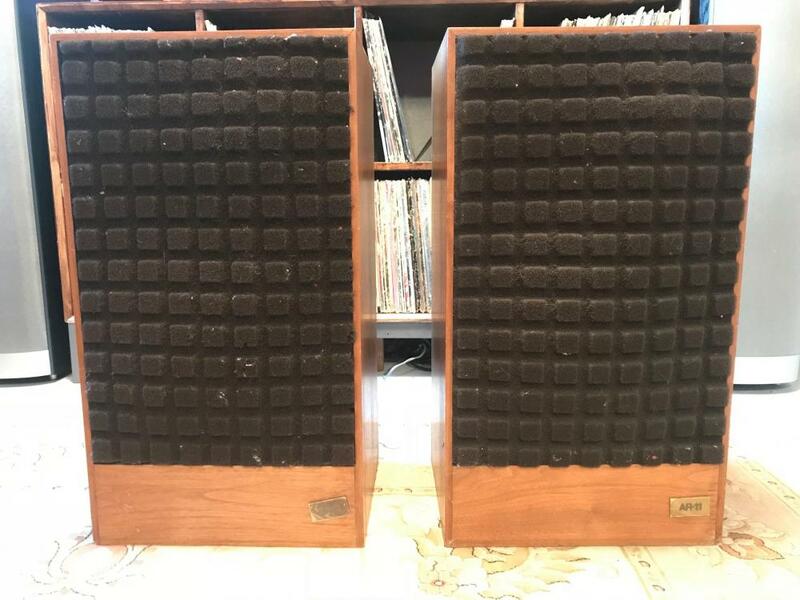 Craigslist find. The cabinets are a little rough and the grills are some replacement foam units. The PO said he is the second owner and that the woofers were professionally "re-foamed" in 2016. 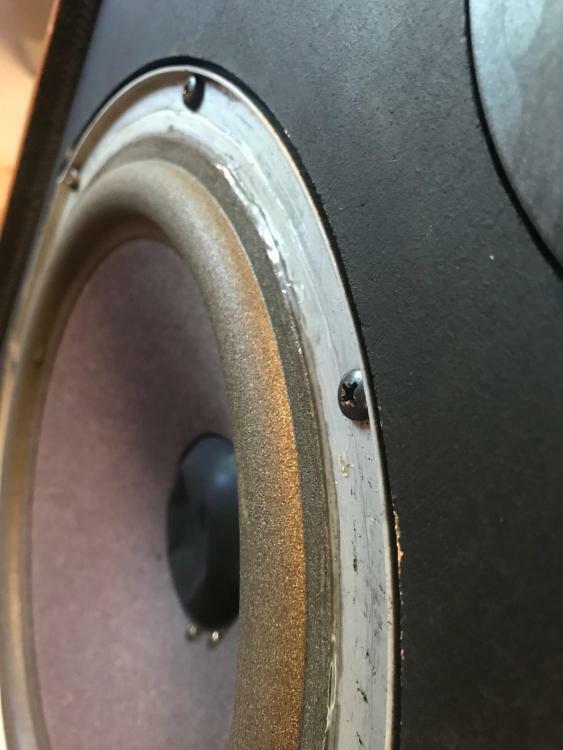 Looking at the speakers I am seeing a difference in the tweeters, and the woofers have new foam but one has a thick lip around the outer edge(black rim) and one does not (silver rim). Any comments on what I have here? Any suggestion on electrics updates or assessments I should perform? It looks like you have the early version of the AR 11. As far as the A vers B version it is explained in this thread. I have two examples of your version. Your midranges appear spot on. Not sure about the tweeters though. My original tweeters are yellow under the foam covering. 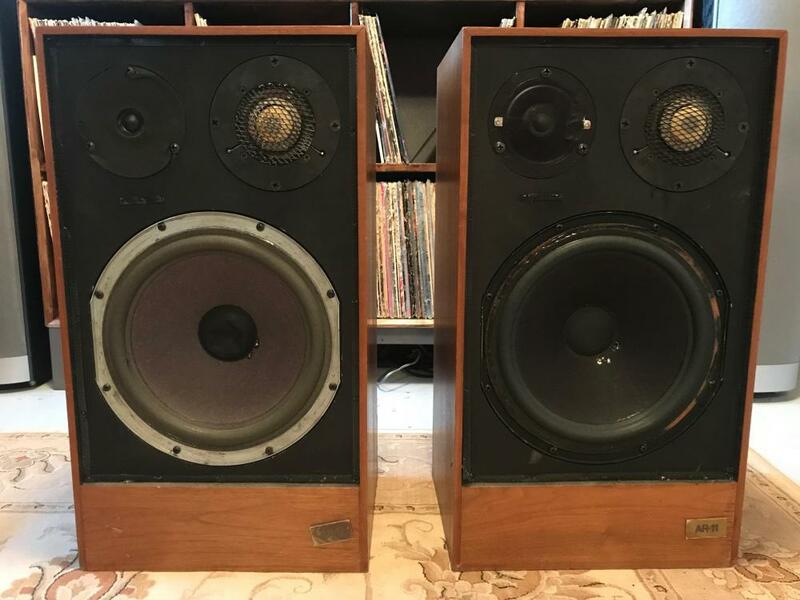 The woofers look like one is from the early version and one from the later. Here is a picture of one of my sets that I am 100% certain are original except for the grills. This is a picture of the later model, which I call The MkII version. This is not my image but belongs to a acquaintance and is currently for sell on CL locally. Good luck with your newly acquired AR 11's. 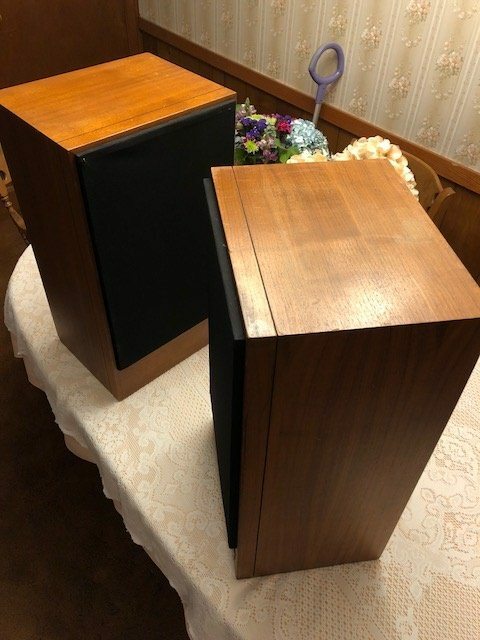 I agree with you that those JBL Century 100 type grills don't belong. Thanks for the reply IARrybody. Interesting read on the "A, B, C" designations. Mine have a "B" printed after "AR-11" so I assumed mine are "B" gen. But based off of the referenced thread my cabinets are early "A" versions - with the version badge, velcro and back coloring. Pretty sure AR never called AR 11's by A or B designations. Same is true of Advent never referring to their speakers as OLA's or NLA's. 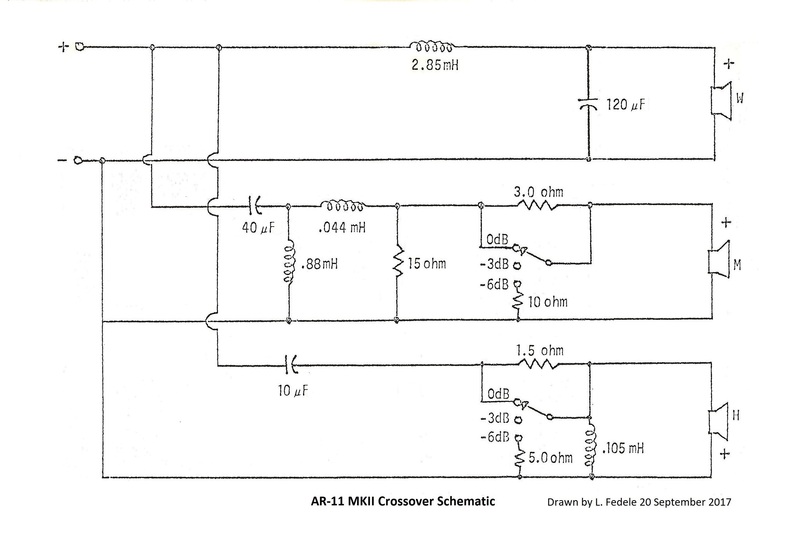 Anyway here are the crossover schematics for the original AR11 and the later version. There are some differences, though basically the same. Thanks for the diagrams. I'll pull the electrics apart this week. The OCD in me is not going to rest well with those two woofers being different gen's . Where is the best place to buy genuine AR parts? Thanks. They may be closer than you think. Paint one black and dye to cones to match. I would also refoam them with new matching surrounds. Rick Cobb has the correct ones. I happen to like the light linen grilles. 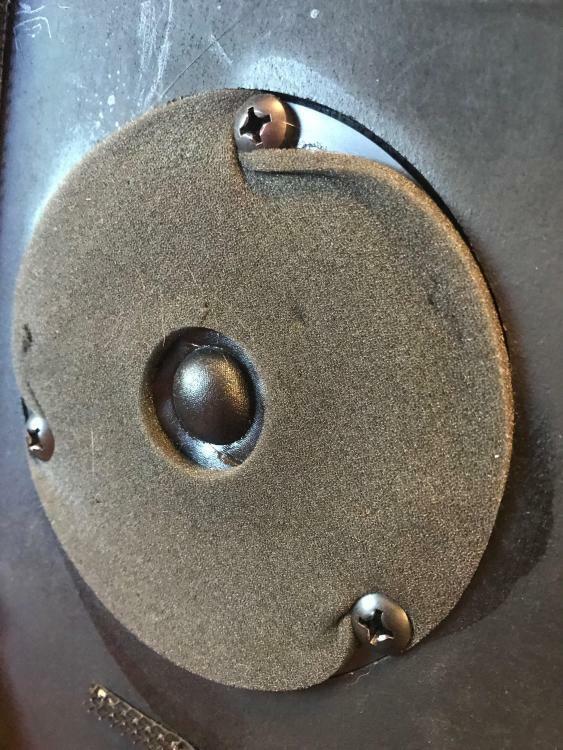 Unfortunately someone refoaming this woofer erroneously removed the "masonite" ring. 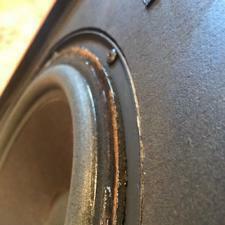 You can see it on the other woofer: it is glued to the basket and the outer edge of the foam is glued to it . The masonite ring should be restored. Thanks fedeleluigi. 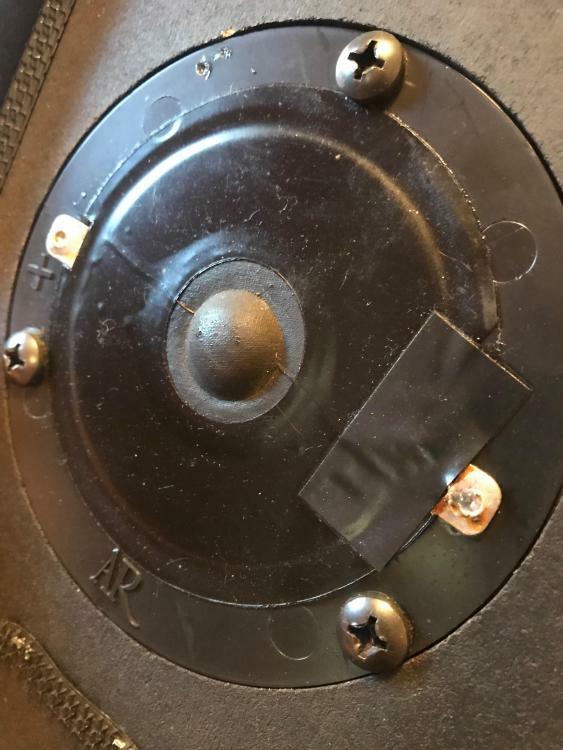 And leads on where I can get a replacement ring? Nothing on eBay or the for sale section here. 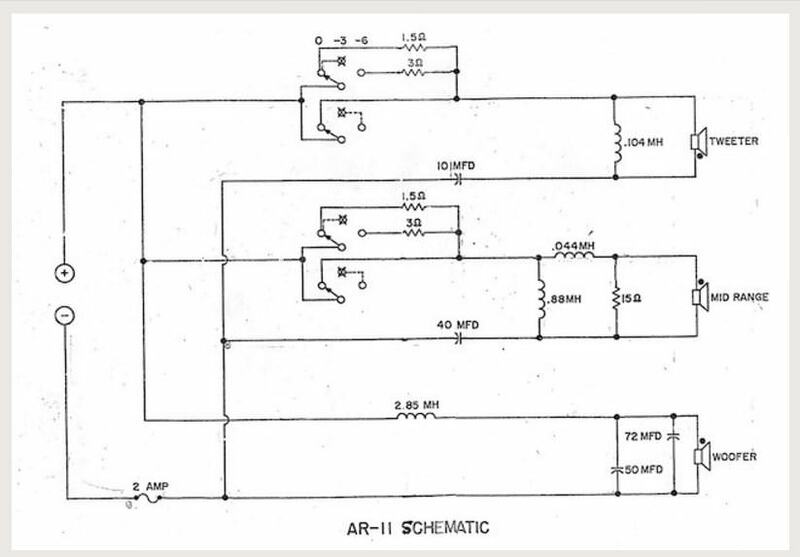 This is a replecement tweeter probably made by Tonegen / Foster. Very likely it is more sensitive/efficient in comparison to the original tweeter. Thanks fedeleluigi. I've been wondering about those tweeters. Another mystery solved. 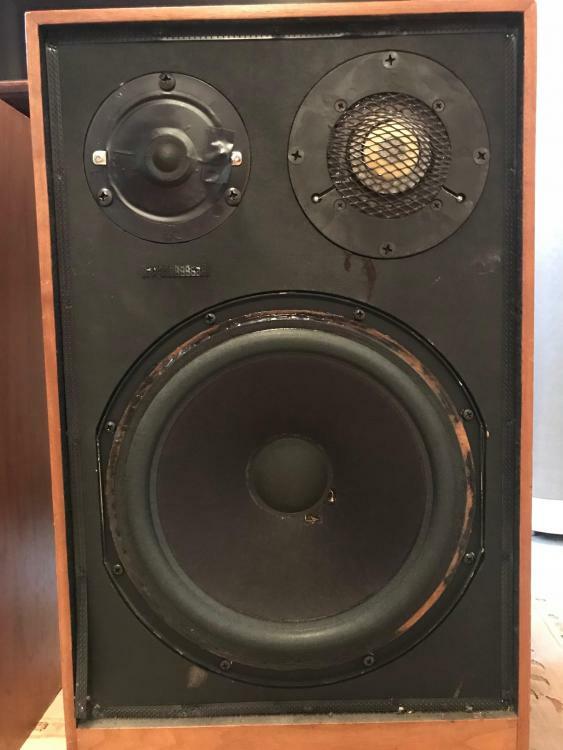 I'll be pulling the speakers apart for further inspection and updates.